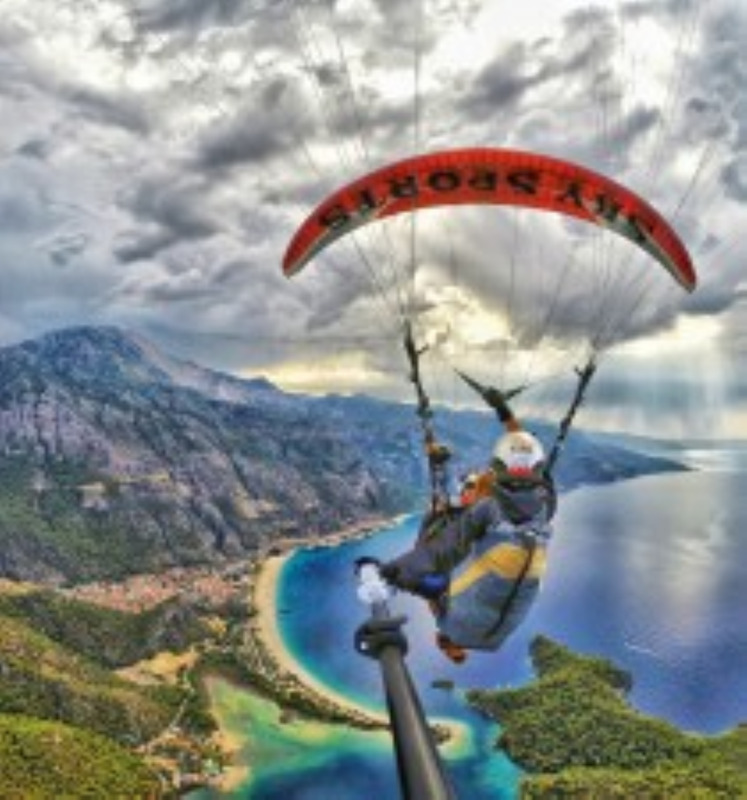 Paragliding is as close to flying as you can get and a tandem flight puts you in the hot seat giving you the perfect chance to enjoy your first flight leaving the technicalities to your experienced pilot. 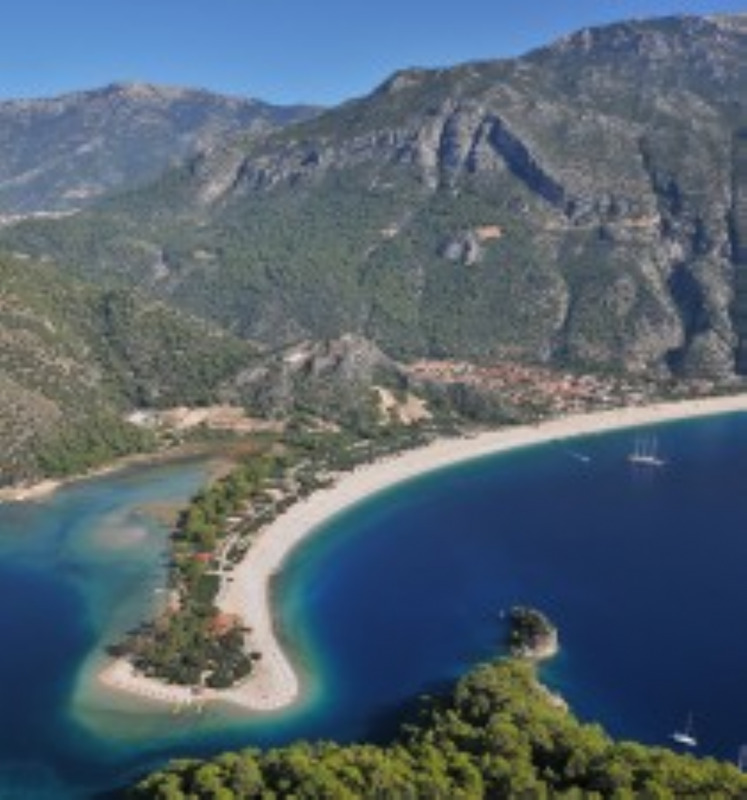 Oludeniz offers the best tandem paragliding site in Europe, if not the world. The spectacular views and stable weather conditions puts it right up there. From the perfect take off sites close to the 1960 m summit of Babadag Mountain, your flight will take you over the ridges with a birds eye view of the white streched beach and the famous lagoon. 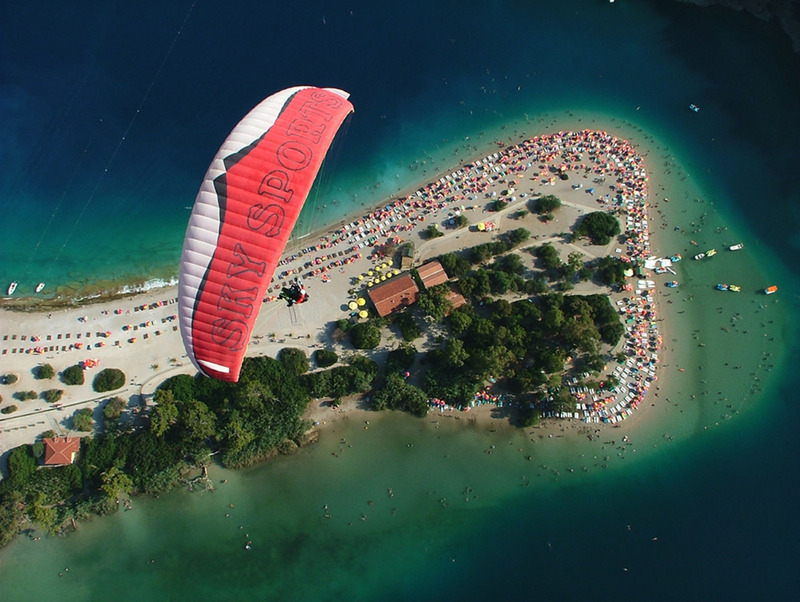 After a 25 to 45 minute flight, you will smoothly land close to the beach. After a short explanation you and your pilot will take off from a mountain slope under a canopy that resembles a parachute. 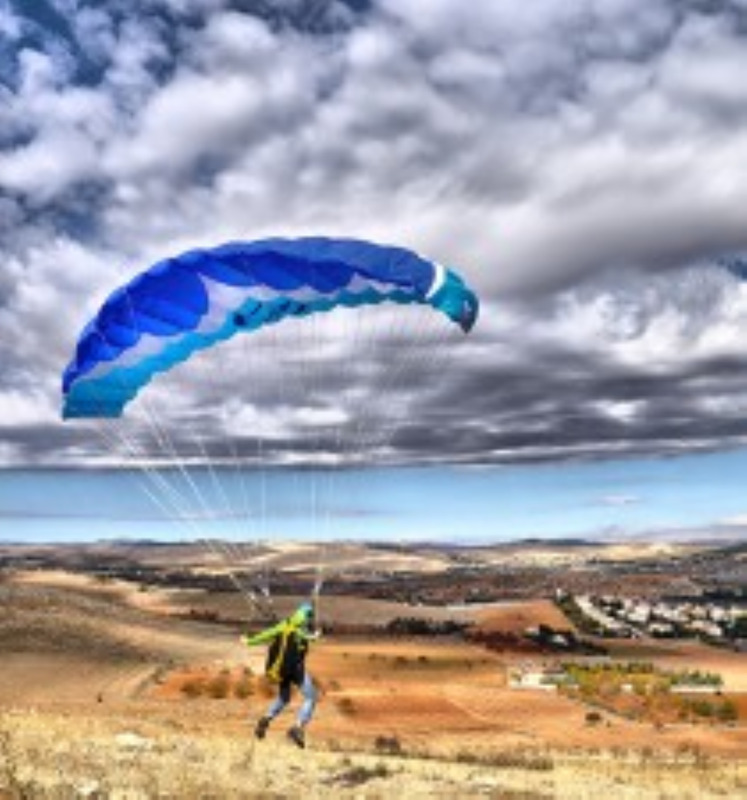 Once inflated overhead, you will take just a few steps or a short run to take off from the gentle slope, the wind will catch the canopy and you will be airborne.In the air complete control over direction and speed gives your pilot the freedom to soar ridges, rise on warm currents of air and cover distance. we have a proven safety record from day one which we credit to our staff, professionally maintained and certified equipments and company procedures. Our professional pilots fly four times a day, every day, taking people like you; male, female, young and old on this amazing adventure. Each passenger is briefed and isssued with helmet and flying suit, all pilots carry complete reserve and communication systems, weather conditions are carefully assessed before we take you up and again on take off. You are assisted by our crew on both take off and landing.